This landscape one could see from a tram window while crossing the bridge. 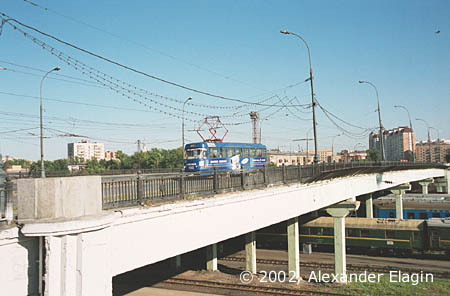 Vagankovskiy Bridge stretches across a huge railway station, with an onramp approximately in the middle. This shot was taken right from the ramp. 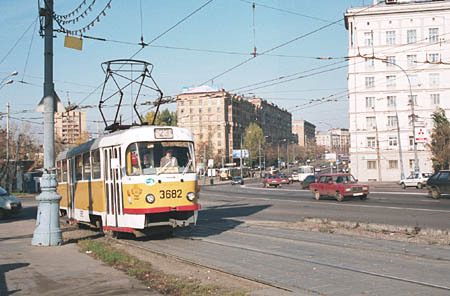 A view from the onramp towards Begovaya Street, with a queue of trams waiting for their turn to cross a traffic jam. 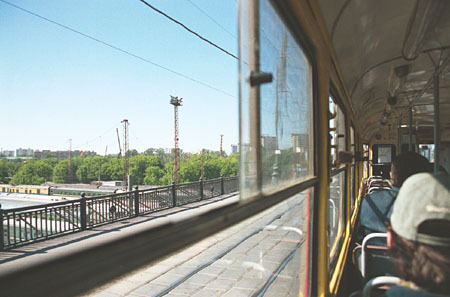 A view of Begovaya Street from the bridge. 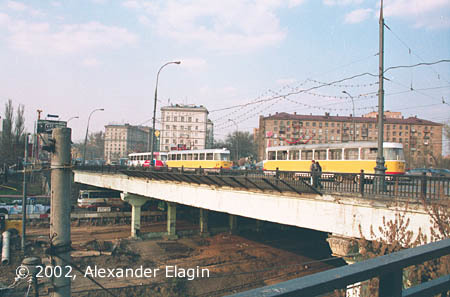 Of course, this view will be seen no more; trams are gone, and a new multi-level crossing has been erected here.